Supercell recently introduced a 'battle pass' of sorts into Clash of Clans, according to Sensor Tower, which proves that season passes really are the new monetization hotness. Nothing like a season pass to keep players coming back for more. Supercell's monstrously popular Clash of Clans mobile game has always had microtransactions baked into its monetization. Now, instead of being nickel and dimed in MTX, players can opt for the Gold Pass, Supercell's CoC season pass. According to mobile analyst firm, Sensor Tower, since Supercell introduced the Gold Pass in CoC, players have spent 2.5 times more in the game in the last seven days. 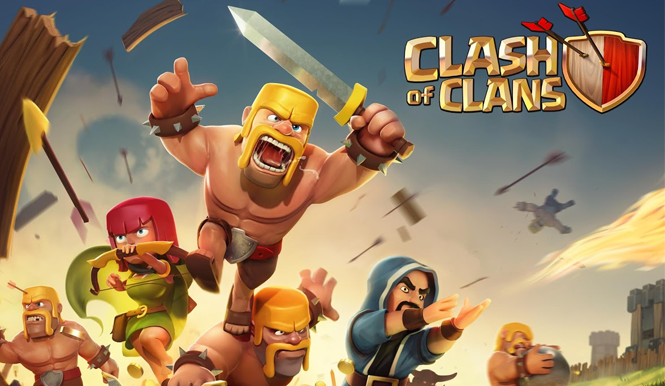 Prior to the Gold Pass, players were spending on average $1.6 million a day on Clash of Clans, which usually came out to approximately $11 million per week. That's a tidy sum, but it pales in comparison to the $3.9 million per day that Clash of Clans has been bringing in since the advent of the Gold Pass and seasonal rewards. When Fortnite came out on iOS last year, it earned $100 million in revenue (in-game purchases include the Fortnite battle pass) on that single platform in the first 90 days. These days, Fortnite is earning approximately $44.3 million per month on iOS. Season passes on mobile, especially with competitive games like Fortnite, PUBG, and Clash of Clans, are a surefire win for a free-to-play monetization schematic. Players that are used to MTX as the predominant method of spending money on free-to-play games clearly appreciate the accessibility of the season pass, which provides in-game rewards for playing the game. The Gold Pass, specifically, costs less than $5 a month, which provides daily and monthly challenges to complete in Clash of Clans. The free tier, Silver, also provides access to daily and monthly challenges but doesn't include free skins, 30 rewards (instead of 20), a 20% bonus for building, researching, and troop training speeds, a chance to earn 25 million gold and elixir, and 250,000 dark elixir. That's a lot of content for not a lot of money on a monthly basis. By positioning the Gold Pass as an optional upgrade from the free Silver tier, Supercell has invited players to spend almost nothing on a monthly basis and still gain quite a bit. The value-add is clear and this is what appears to be working for season pass/battle pass monetization on mobile, especially.